Thanks for your comment. I’m glad you’re exploring these issues on your blog. We need a lot of good Christian thinking on how to interact with our culture and engage with political issues. 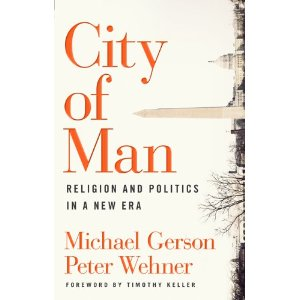 If you would be interested in reviewing City of Man on your blog, I could have a review copy sent to you. Just drop me a note at c.l.reese7@gmail.com. By the way, did you do your MA at Talbot? Yeah, MA at Talbot. Graduated in 2002. Now working at an oil refinery, go figure. I’ll email you about the review. I have been thinking a lot about this as well. I think grounding our politics in the Christian call to love one another, our brothers and sisters in Christ would provide a guide to many issues, particularly abortion and homosexuality.